What is Anterior Lumbar Interbody Fusion? 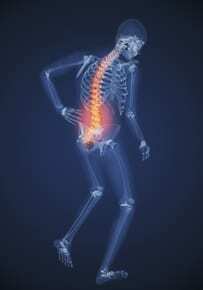 Why Would I Need A Anterior Lumbar Interbody Fusion? To avoid multiple surgeries in one area if you have already hadprevious spinal surgeries using a posterior (back) approach. In contrast, when your surgeon uses an anterior approach he or she can access your spine without moving the nerves. Organs and blood vessels must be moved to the side with an anterior approach, however, More Than Likely, a vascular surgeon will need to assist the orthopedist with actually opening and showing the disk space. Dr. Girardi Recieved his medical degree from the Universidad Nacional de Rosario, Rosario, Argentina and did his residency at the Hospital de Clinicas "Jose de San Martin" Buenos Aires. A fluent speaker of Spanish and English, Dr. Girardi has truly divers ified himself in order to provide care to every patient who walks into the door. The ALIF procedure is perform under anesthesia with the patient lying face up on an operating table.Most Interbody Fusions take 2-3 hours.In the first part of the procedure, your surgeon will remove the intervertebral disk from the disk space. When the disk space has been cleared out, he or she will implant a metal, plastic, or bone spacer between the two adjoining vertebrae. Afterwards, a special spacer called a "cage" will be used to help promote bone healing and facilitate the fusion of the disk. Once Dr. Girardi places the cage in the disks space, he may need to stabilize your spine with either a plate or screw to hold the cage in place. you may want to consule Dr. Girardi to make sure that this surgery is right for you. Patients usually have a smooth recovery from ALIF. After the procedure, they normally remain in the hospital for 3 to 5 days and are able to resume their activities after 6 to 8 weeks. For About 8 weeks, patients should refrain from bending over and going up and down. At a physical therapists office, you will perform basic excercises, including walking and moving. Most patients can expect drastic improvements following their ALIF.